During Ordering, you will see a box for notes/comments. Please enter the text you want on the banner in this area. Try to keep your text as short as possible, because the more letters, the smaller it will have to appear on the banner. 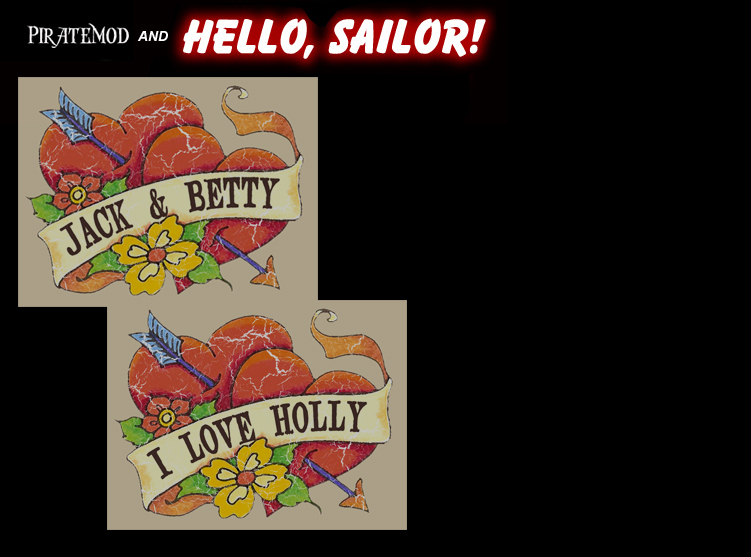 Our artists will integrate your message into the artwork and you can show the world what swashbuckler has captured yer Heart in true "tattoo style!"